Mt. 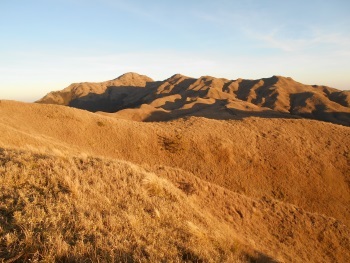 Pulag National Park is part of the Tentative list of Philippines in order to qualify for inclusion in the World Heritage List. Mt. Pulag is the highest peak in Luzon island (the third highest in the Philippines), and is arguably the most effectively managed National Park in the country. It is being nominated under (ix) and (x) biodiversity - and rightly so, as this site best represents a unique array of endemic flora and fauna of the Cordillera Biogeographic Zone. Despite its mighty height, Pulag is one of the country's easiest hikes. The grassland peak can be reached within 5-6 hours of gentle trek.